Covenant Relationships: Do you mind if your wife is richer (or more prominent) than you? In one of my recent premarital counseling sessions, we (my wife and I) asked the intending couples to introduce themselves and how they met. One of the guys said he has been “going out” with his fiancée for over two years and he has realized that one of his major goals in life is to help his wife achieve her dream of being a very prominent person in the society and he was content with staying behind the scene. Now this is a guy from a very proud tribe (the Ibos) of Nigeria. Honestly, I found that statement very hard to believe but I could see from the relationship that the lady had accepted that the fiancé was accepted his subservient role; just there to help her achieve her dream. It seemed to me that she had assumed the “Head” of the home. I quickly alerted them on the imperatives for success in their relationship. Take the examples of prominent women in our society; Dr. (Mrs.) Ngozi Okonjo-Iweala, current Managing Director of the World Bank. 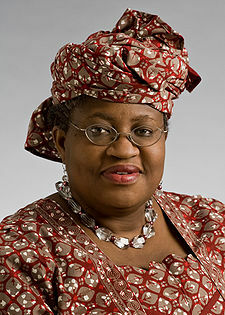 Dr. Ngozi Okonjo-Iweala was the former Finance Minister and Foreign Minister of Nigeria, notable for being the first woman to hold either of those positions. In 2003 Okonjo-Iweala left her job as World Bank vice-president and her husband and four children in Washington to work 20-hour days in Nigeria's capital, Abuja as the Minister of Finance. “Time” magazine called her one of the world's heroes; Gordon Brown hailed her as 'a brilliant reformer'. What do you think Ikemba Iweala, her husband, a surgeon in the United States feels about his wife’s prominence? He has two choices – to be envious and scuttle her plans or to be proud and assist her in actualizing her goals and aspirations. They would have had to discuss many issues before taking up the job in Nigeria: for instance, Should she take the job? Should the husband come to Nigeria with his wife while she was a Minister? Who would attend to the wifely duties while she was away in Nigeria? What about Joyce Meyer? 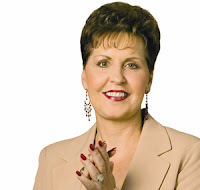 Pauline Joyce Hutchison Meyer, more commonly known as Joyce Meyer is a Charismatic Christian author and speaker. Her television and radio programs air in 39 languages in 200 countries, and she has written over 90 books on Christianity. In 2005, “Time” magazine's 25 Most Influential Evangelicals in America ranked Joyce Meyer as 17th. She is married to Dave Meyer. How has Dave felt about his wife’s prominence? Dave is the Vice President of Joyce Meyers Ministries. Joyce Meyer grew up in a family with an alcoholic abusive father. She was sexually, physically and emotionally abused by her alcoholic father while growing up. At age 18, she left home immediately and married the first man who showed interest in her. That marriage was a disaster. She later met Dave Meyer, a kind and Godly man who married her after her divorce. She had a long way to go and a lot of baggage but she married a man who was ready to take care of her and be part of her prominence in ministry while accepting to provide support at all times. How did Dave handle Joyce and her baggage from the past marriage and abuse? I do believe that a couple should understand that there are strategic imperatives for a successful marriage relationship even when the wife is more prominent than the husband. 2. There will definitely be some changes in the responsibilities but these can be discussed and agreed. It sounds good in theory that a man would be content to play the supportive role while his wife takes all the shine and brings home the bacon, but in reality I see in Nigerian society (at home and in the diaspora) our men can usually not handle being relegated to cheerleader or arm candy roles.